The best part of stevia leaf is Rebaudiana A. Stevia rebaudiana plant contains a high percentage of steviol glycoside (stevioside) and rebaudioside A, C, D & F. The Stevioside has a lingering aftertaste while Rebaudioside-A has no lingering or aftertaste. Reb-A can improve the taste and quality of food. The sweetness is more than 400 times higher than that of sucrose. Glucosyl Stevia is a stevia-based flavors and flavor modifiers for use in food and beverage products. It is also called Glucosyl Steviosides, Enzymatically Modified Stevia Glucosyl Stevia or Enzymatically Modified Stevia. Glucosyl Stevia is made by the selective introduction of Glucosyl into Steviol glycosides molecule with the biological enzyme technology, which increases the number of glucosides. 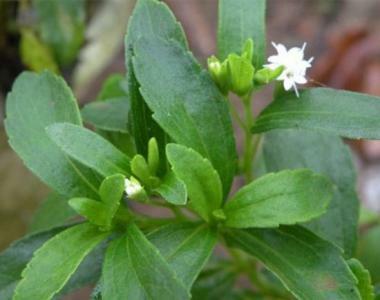 Compared with Steviol glycosides, it has many advantages, such as it can reduce Stevia’s natural bitter tastes and increased solubility. The sweetness is 150-200 times higher than that of sucrose. Stevia is perhaps unique among food ingredients because it's most valued for what it doesn't do. It doesn't add calories. Unlike other sugar substitutes, stevia is derived from a plant. The stetvia is 280 times sweeter than sucrose. Stevioside is one of the main components of stevia. Widely used in pharmaceutical preparations, the sweetness is about 300-400 times that of sucrose.